Today it’s all about being organic. 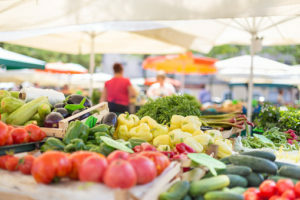 When you choose organic products, you will benefit yourself, the environment, the economy, the health of your peers, and of the world you live in. Organic products support your body. They contain all the elements necessary to have the healthiest lifestyle. Not only is organic food vital for your inner body health, but it will also make you look younger, healthier, and energized. When you choose organic products you are choosing the right way. 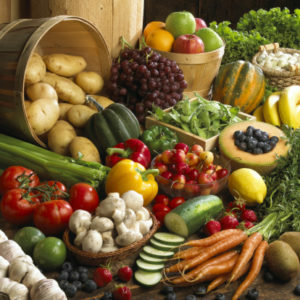 Most non-organic products, contain pesticides that are linked to obesity, diabetes, birth defects, ADHD, and many more. Research has shown that before a baby is born, he or she is already at risk from toxic pesticides. Babies are exposed to hundreds of harmful chemicals. When you choose organic products you are protecting the future. Organic products will not only help the environment you live in, but will help you, your family, and the future of this world. Organic products taste better than any other product. They are better nourished, grown in healthy soil, and cultivated with more care. Organically grown foods generally taste better because they are nourished and they have a well balanced soil. Organic products not only taste better, but they have more nutrients! This will benefit your body, make you look better and stronger. You will have a healthy, glowing, looking skin. Organic products will give you the healthiest lifestyle; the one you deserve. Organic products support farming in harmony with nature. This means preservation of soil and crops. Animals such as insects, frogs, birds, and social organisms are able to live better as well. Buy choosing organic products you are not only protecting yourself, but you are protecting the ecosystem. Without a proper and healthy ecosystem, the world will not function correctly. Agricultural chemicals, pesticides, and fertilizers are contaminating our environment. They are poisoning our water supplies, as well as destroying fertile farmland. Choose organic products and reduce the amount of pollution in the Earth. Today, global warming is a big problem we should take care of. By buying organic products, you are helping the world you live in. GMO is a genetically engineered organism.These are contaminating our food, which is then harming our bodies. Most foods don’t mention anything about having GMOs, so the best way to make sure we don’t take this in our body is to choose organic products. Organic is the safe way to go. Choose organic products and say goodbye to chemicals!